The centerpiece of the Campaign for Disability Employment (CDE) is a series of powerful public service announcements (PSAs) designed to challenge misconceptions about the employment of people with disabilities and reinforce the roles we all play in fostering an inclusive workforce that benefits everyone. Together, “I Can,” “Because” and “Who I Am” have aired more than 325,000 times on television and radio stations nationwide, earning more than $64 million in donated airtime. And our latest PSA, “Working Works,” is coming soon to a screen near you. Numerous versions of the PSAs can be downloaded below, along with coordinating outreach tools including discussion guides, posters and ready-to-publish news briefs to distribute through publications and social media platforms. Please explore our PSA campaigns below—and put them to use! Play them, share them, order our free materials and make today the day you help us change attitudes about disability employment issues. Learn how family members, educators and others critically influence the career aspirations of youth with disabilities. 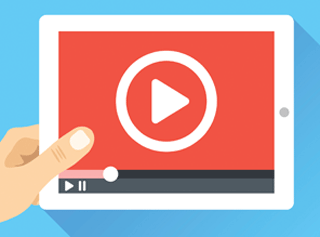 Find links to all available versions of our videos, including captioned and audio-accessible options, Spanish language versions, as well as various run times.